Fortunately for Irish tourism and other service businesses, English is the lingua franca of international business and travel. Regular travellers for business and leisure will often find themselves speaking English with people for whom it is a second, third or fourth language. However, native English speakers account for only 27% of global Internet users, and research shows that people are six times more likely to purchase online in their native language. As a multilingual xenophile, I am the first to say it is best to learn your customers’ language and understand their culture, but this is clearly not realistic in a world where over 6,900 languages are spoken. Professional localisation and translation is obviously the best option, but this is expensive for many small businesses who, even if they made this investment, would still face the challenge of processing and servicing the resulting multilingual business. Before embarking on a mass-translation of your entire website and social media presence, how about starting with a brief outline? Translate a one-page summary of your service, which you could link to from a friendly welcome note in each language on your home page, use as a response to queries in that language and so on. 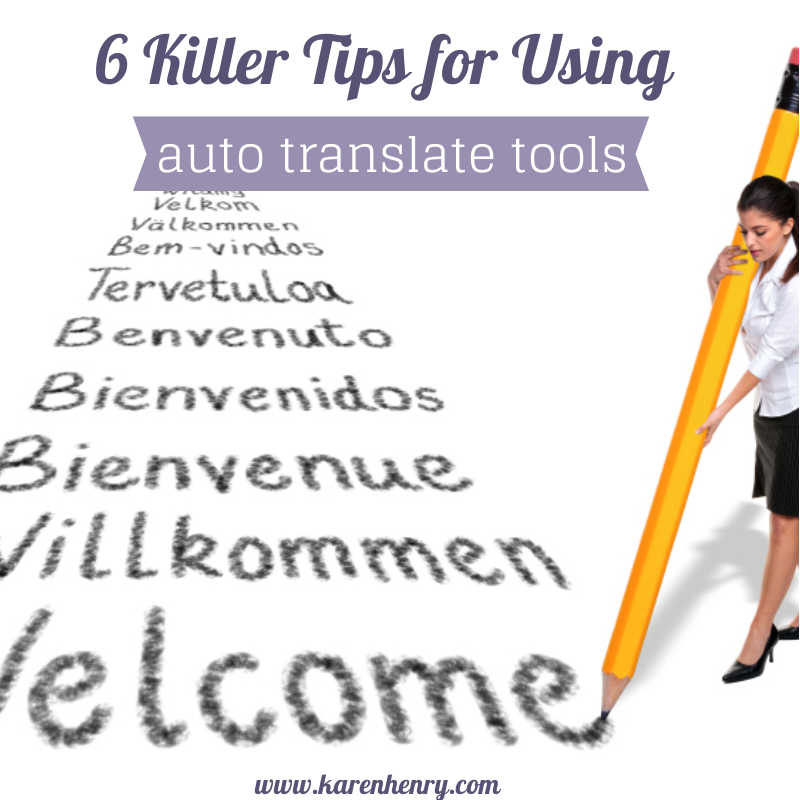 While auto-translation tools are increasingly accurate – I find Google Translate the best – they will never replace human translation, so always start your translated text with a note explaining that you are using automatic translation. Force yourself to be conscious of idiomatic speech. So, if your hotel is lavishly appointed and nestling like a jewel in the languid countryside, your translation text could read ‘excellent amenities including a, b, c, in a quiet, beautiful rural location’. I know I need to get out more, but I enjoy testing auto-translation tools, and the best results are always achieved by using direct, simple English in the original text. Simple things like using metric measurements for European languages and explaining religious or cultural references will make the translated text more relevant for the reader. Use external links to provide more information to the visitor in their language, such as links to the relevant page in industry websites, currency translators, weather and transport resources. Customise and translate the title, description and keywords meta tags for each translated page. This will assist in SEO and will also improve display in search engine results pages (SERPs) and on social media links, improving click-through rates. Keyword suggestion tools can be used to generate synonyms in several languages for your target keyword list. After an outline summary, prioritise the translation of most relevant pages, such as pricing, directions or location. Remember to update your translations if any details change. Translating image and video descriptions and captions can have a strong impact, as they add 1,000 words to your brief translation! Bonne chance ! Suerte! Buona fortuna agus go n-éirí an t-ádh leat! One minor addition: the sentences must convey only one idea and be short. That improves the accuracy of the translation tools. And that makes sense both grammatically and technically. And the additional benefit is the clarity in the the original language. It’s tempting to try to express ourselves as we would in our own language, but brevity and clarity are key. For the translations part, I can recommend a really good crowd sourcing tool I am using: https://poeditor.com. It works really nicely, it has a simple interface and very helpful features. It gets the job done much faster. Thanks for the tip Essatrout, looks like a really good tool.